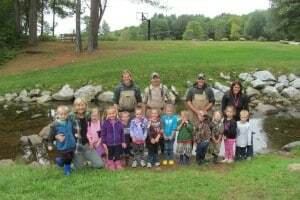 During the month of September children at Caverly Preschool in Pittsford have been learning about VT fish that live in our surrounding rivers and lakes. 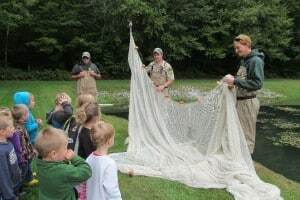 As part of our fish theme, local resident Shawn Good, a fisheries biologist with the department of VT Fish and Wildlife, along with his assistants, John Kimball and Tyler Brown, lead an expedition to the Pittsford Rec where children were able to get ‘up close and personal’ with the fish living there. 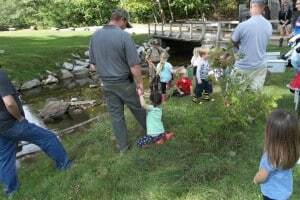 What a great day(s) to be at Caverly!